EBSQ is fortunate to count among its membership, artists from countries in many parts of the world. For the next few weeks, Art Of The Day will showcase some of these artists and their work. Made with Merino wool and embellished with ordinary black knitting wool made into thin plaits and sewn down the sides for decoration. 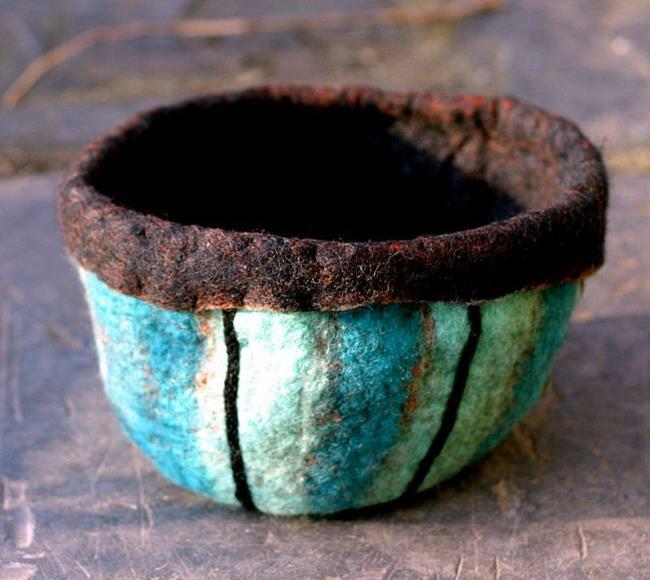 Felt bowls are very strong and have the advantage that they can be easily washed. I use this one for storing embroidery threads.